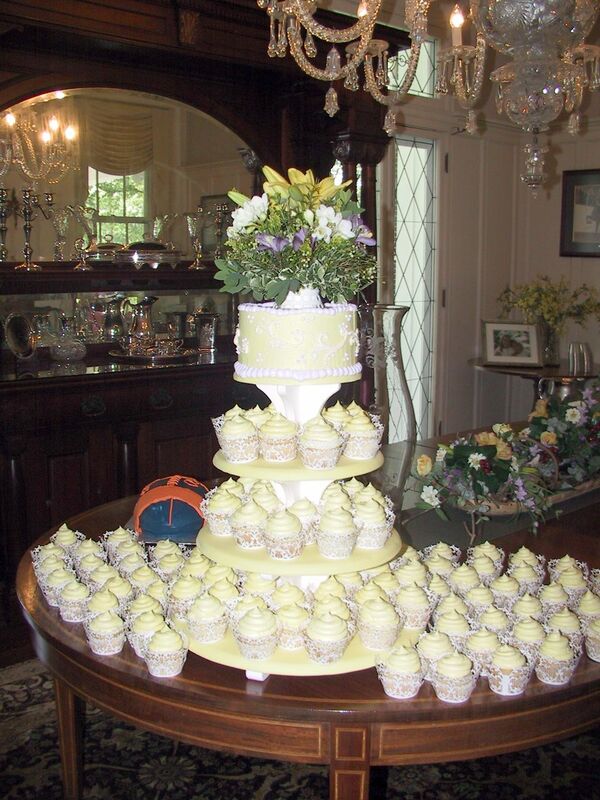 This 4 tier buttercream wedding cake was created for a wedding at the Acres of Land Winery in Lexington, KY. 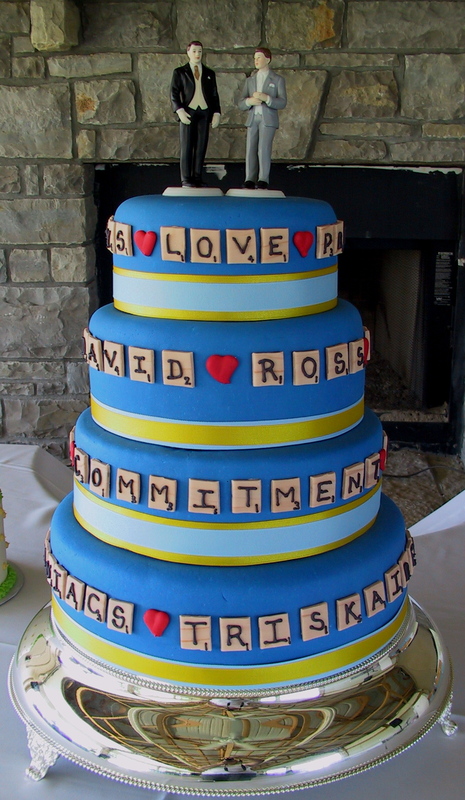 The cake was a variety of flavors. 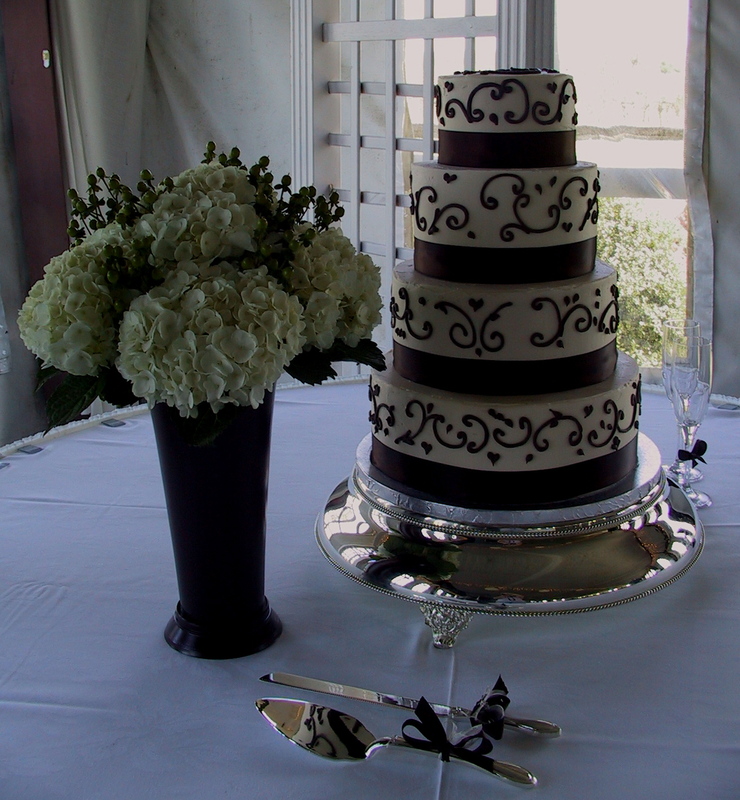 The cake is decorated in an ivory buttercream icing and piped with a chocolate buttercream and a chocolate brown satin ribbon. 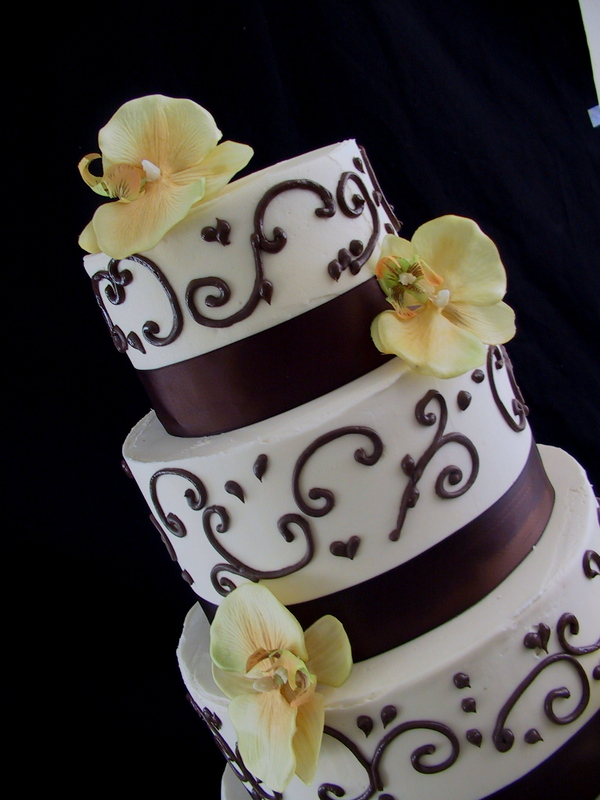 The flowers are orchids. 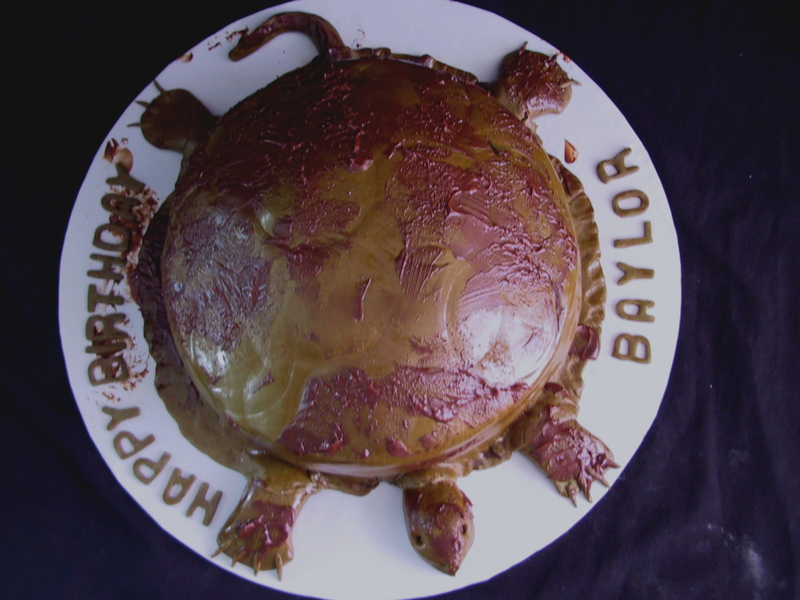 This snapping turtle cake is one of two cakes that were created for a birthday party for 2 brothers. As part of their birthday celebration they were having the “Turtle-Man” of Lebanon, KY come to their party to pull a snapping turtle from their pond. One of the cakes was a spice cake with the fresh apple filling and cream cheese icing. 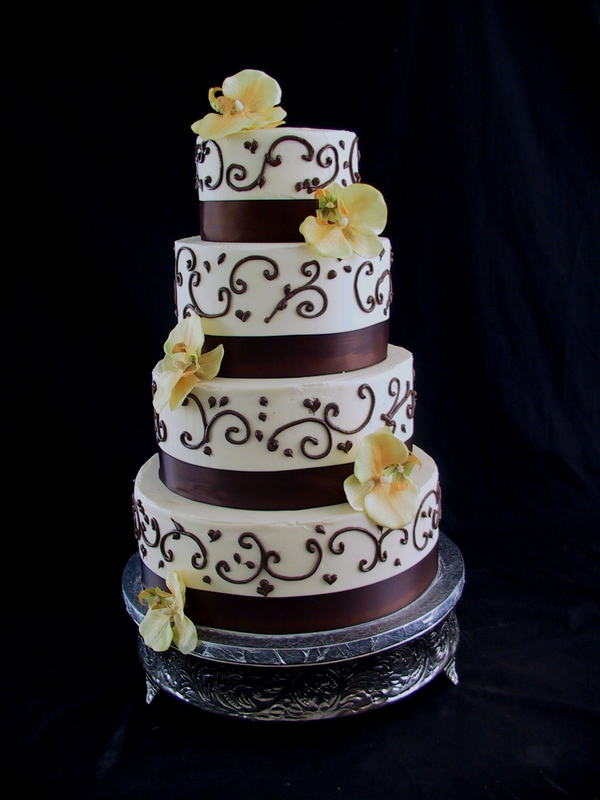 The second cake was a dark chocolate with a semi sweet ganache filling and a white chocolate icing. 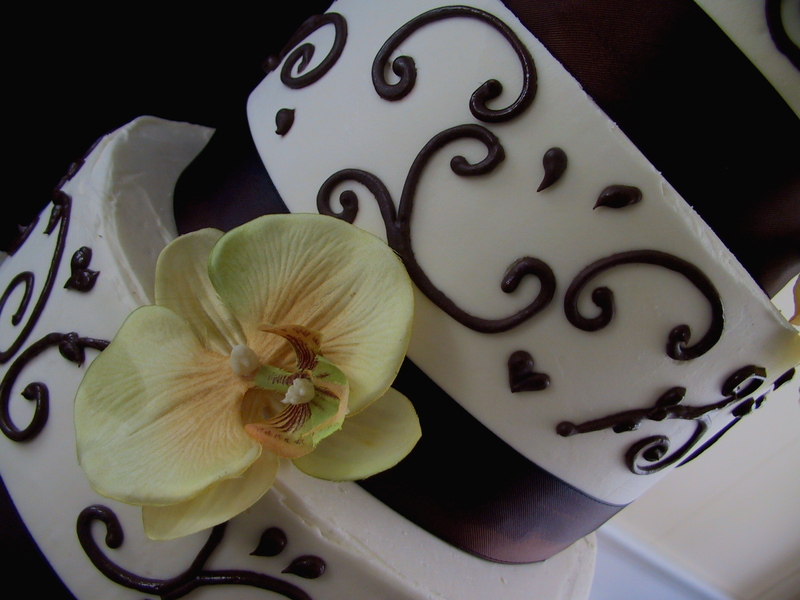 Both cakes were covered in a vanilla fondant with chocolate ganache smeared on the cakes to resemble mud. 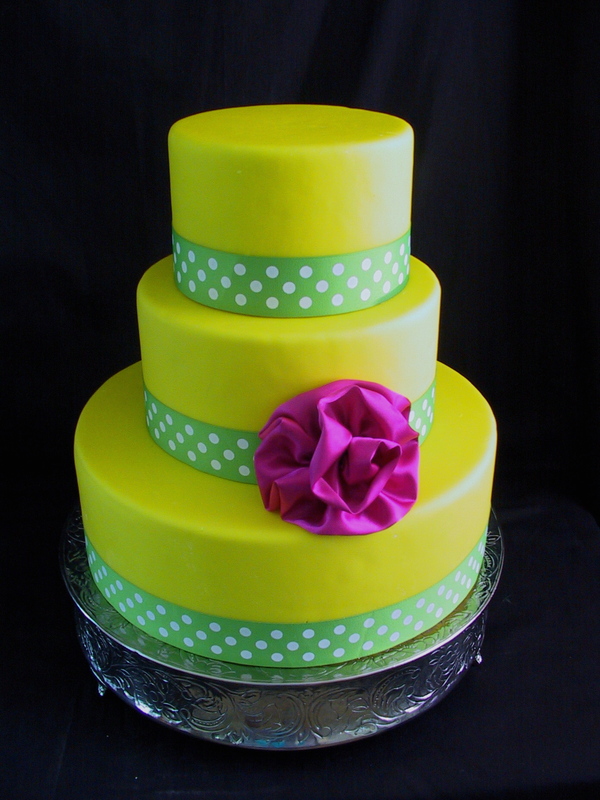 This fondant wedding cake is bright yellow with a lime green polka dot ribbon accent and a hot pink satin ribbon rose. The cake is displayed at Jr’s General Store in Danville, KY. 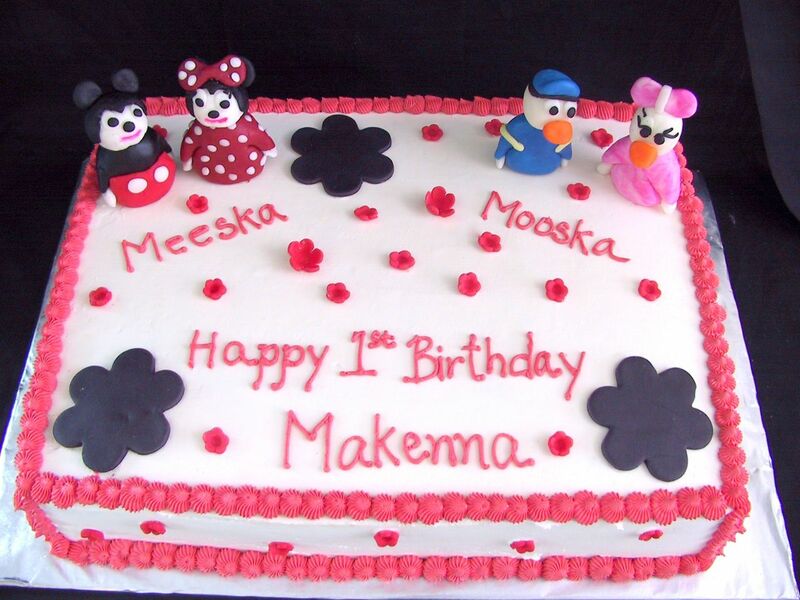 This cake features fondant figures of Mickey and Minnie Mouse and Donald and Daisy Duck. 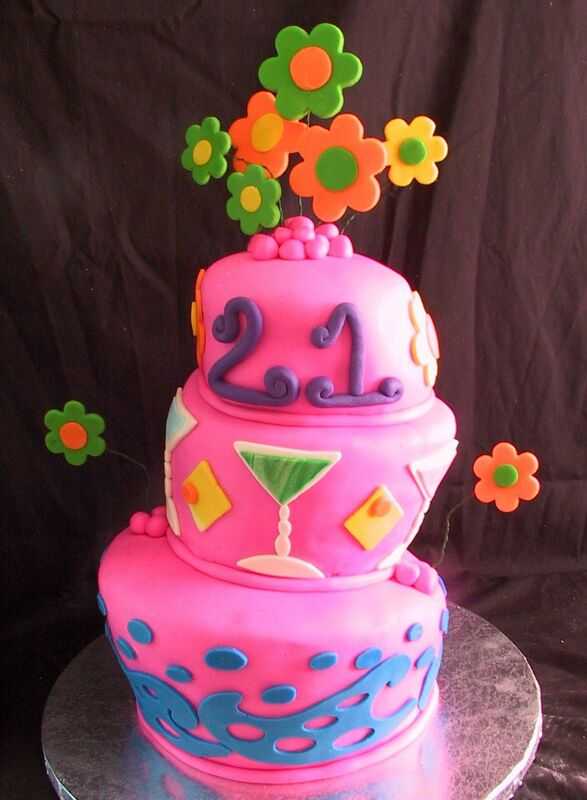 The cake was created for a little girl who was having her first birthday. The cake was strawberry with a fresh strawberry filling and iced in a vanilla butter cream.